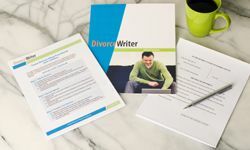 Use DivorceWriter to prepare your own New York Unified Court System official forms online and get divorced without a lawyer. File by mail. File your divorce papers in person at the County Clerk's office or file everything by mail. No divorce hearing. The judge will review your file and then mail the signed Judgment of Divorce to you. No mandatory waiting period. Your divorce can be finalized in as little as 30-45 days. If you both live in New York, you can file for divorce at any time no matter how long you've lived there. If just one spouse lives in New York, that spouse must live in-state for two years before filing for divorce UNLESS you either (1) got married in New York, (2) lived in New York as a couple at some point during the marriage, OR (3) the grounds for your divorce (see below) occurred in New York, in which case the minimum residency requirement is only one year. If your marriage has been damaged beyond repair for at least six months, you can file a no-fault divorce in New York. While no-fault is easiest, you may select one of the six fault grounds instead if you prefer. New York divorces are filed at the County Clerk's office in the county where either spouse lives. You have qualified to use DivorceWriter to complete your New York divorce papers online. Select "Continue" to start the interview.